STORServer® Console lets you configure and manage your TSM environment with a single, easy to learn, intuitive user interface (UI). Monitoring and reporting features keep you apprised of TSM server activities, in real-time, with alerts available for a wide variety of TSM conditions. An integrated help system explains how to use the SSC software so you are never lost in a confusing array of menus, submenus, views and undocumented right-clicks. The STORServer Agent for VMware Consolidated Backup improves manageability of backups and reduces costs by centralizing the backup of VMware ESX servers to your IBM Tivoli Storage Manager (TSM) server. 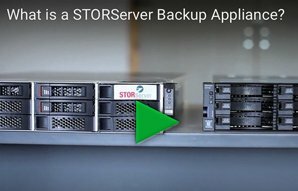 With STORServer Archive Backup Client you can backup, archive, restore, query and manage OpenVMS files stored on IBM Spectrum Protect servers as a logical extension to the on-line OpenVMS ODS-2 or ODS-5 file systems. STORServer Data Protection minimizes system and application downtime, increases administrator productivity, and provides superior backup performance while protecting while protecting your company’s most valuable data assets.